California Democratic Party endorses Kevin de Leon over incumbent Dianne Feinstein for US Senate seat. WASHINGTON D.C. (AP) - A state senator from Los Angeles enjoyed the national political stage today, as his long shot bid to unset four-term incumbent Sen. Dianne Feinstein unleashed a political earthquake up and down the Golden State. The executive committee of the California Democratic Party endorsed Kevin De Leon with a 65 percent vote Saturday. Feinstein, in office since 1992 and the senior member of the United States Senate Democratic caucus, had asked for her fellow Democrats to abstain in the vote, in the name of party unity. Twenty-eight percent of the delegates abstained, and a paltry 7 percent voted to endorse Feinstein. CNN called it a "political earthquake." Politico called it a "progressive smackdown." Some commentators said it reflected the type of progressive disenchantment with party figures that resulted in the upset ouster of a Democratic party stalwart in New York state. Los Angeles County Democrats issued a statement today, calling De Leon a "progressive champion for California for years." "California has been lucky to have both United States Senator Feinstein and Sen. De Leon, and now we are officially ready to have Sen. De Leon grab the baton and run with it to our progressive victory line as United States Senator." 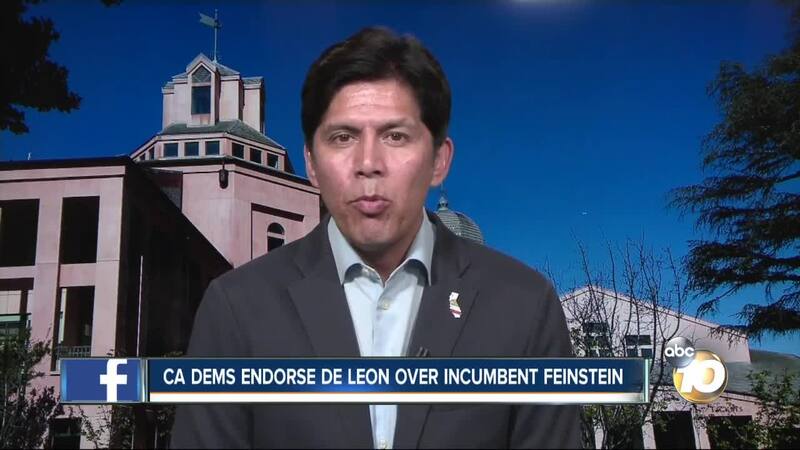 On CNN today, De Leon called the endorsement "a reflection of Californians that wanted change, that believes the status quo in Washington is simply not working for them." Feinstein responded Saturday by downplaying the vote, and noted that De Leon is merely the highest-ranking of the 31 people who ran against her. Under California's top-two primary rule, De Leon is on the fall ballot against Feinstein, and no Republican is on the ballot. It was the second rebuke by the progressive wing of the party this year to Feinstein, who at 85 is the oldest member of the Senate. She also was no endorsed in February, before De Leon won the primary. At the party convention in the Bay Area, Feinstein told Politico that she is spending more energy worrying about fighting the nomination of Brett Kavanaugh, the president's conservative appointee to the Supreme Court. because this affects the life of every American going forward. "So who that Supreme Court seat goes to is all-important." 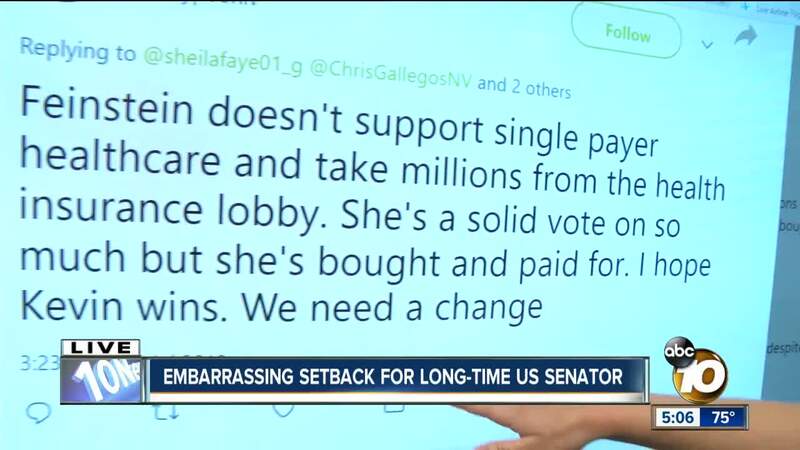 On CNN today, De Leon said he would not run on anything other than calling for economic opportunity, affordable educational opportunities "and Medicare for all, not Medicare for some." And he told CNN host Martine Savidge he is not trying to divide the Democratic Party. "Choice is always a good thing, no one should ever sell you a different bill of goods, that choice is a bad thing," he said from Mountain View, in the Bay Area. And De Leon passed up an opportunity to say Feinstein was not fighting the Whitye House and Republicans enough. "Now is not a time for complacency or for someone to plead for patience, and hope that perhaps -- with fingers crossed -- that Donald Trump can learn and become a good president in the future," De Leon said on CNN.